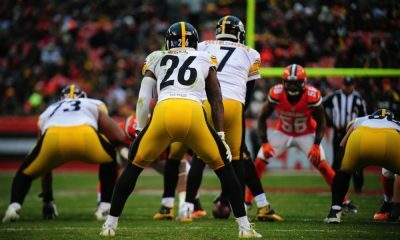 The So-CalledFantasyExperts 2017 Fantasy Football Top 200 Standard Rankings are here for those of you in standard scoring leagues. The all mighty touchdown rules in the land of standard scoring. You won’t find cute little bonus points for things like catching a ball that’s thrown to you for one yard. You won’t find half truths and wishy-washy settings where players get half a point here and half a point there. Touchdowns and yards, baby. Yards and touchdowns. Dial it up! Last season seven of the Top 8 RBs in standard scoring had double-digit TDs. You’re looking for those backs who either play in a highly productive offense, have little to no competition for red zone touches or those on teams so devoid of talent, there simply isn’t anyone else who can do anything to help the team score. It’s likely that 2017s standard scoring RBs look quite different than last year. We see a number of regression candidates from last season’s Top 25 scorers at the RB position. Matt Forte, Latavius Murray, Ryan Mathews, LeGarrette Blount, Jeremy Hill and Jonathan Stewart find themselves in significantly different situations than last year. Risk-averse Fantasy players may look to the Wide Receiver position to help quell their draft day anxiety (my one annual use of the word quell). The top 25 list from last season has a few outliers but for the most part, the names look familiar. The situations have changed only slightly and it appears to be a situation where talent simply meets opportunity. Rishard Matthews, Davante Adams and Tyrell Williams are all regression candidates. Even if they aren’t (which they are), you’re still not going to get them at a great value on draft day judging by their current ADP. Dez Bryant: With all due respect to Darren McFadden and Alfred Morris, the Cowboys aren’t going to be able to rely on the run like they did in 2016. The current ADP for Dez has him as the eighth WR off the board but for those of you in TD heavy leagues, remember he’s one of the TD per game leaders over the course of his career, including last season with Dak Prescott. Those of you who owned Matt Ryan last season may be continuing to look at him with rose colored glasses (what does that even mean)? What we need to remember is the reason you had success with Ryan in 2016 is you were able to draft a strong team before grabbing him. Ryan was a value but has now priced himself out of that category. There’s a Matt Ryan every year. Don’t feel as if you have to reach. Marcus Mariota, Derek Carr, Kirk Cousins, Cam Newton and Carson Wentz all could come close to being a top-tier QB in 2017. As a New England Patriots fan, I’m as excited about Brandin Cooks as anyone. Cooks is a great DFS play when indoors but savvy DFS players know he’s overpriced when playing outside. New England’s weather is a bit different than the comfy confines of the New Orleans indoor stadium. Let someone else forget Julian Edelman and Rob Gronkowski continue to exist. Davante Adams may be the most TD dependent Fantasy WR in 2017. Adams had 10 games of 50 yards or less in 2016. Keep that in mind before you slap the “sure thing” label on Adams. Why are Fantasy folks so concerned about Mark Ingram this season? Sure, Adrian Peterson is now in the backfield, but so what? What shouldn’t be discounted is how big a role Tim Hightower played in 2016. Hightower touched the ball 155 times last season and Ingram still finished as an RB1. Check out the FantasyPros Draft Wizard. 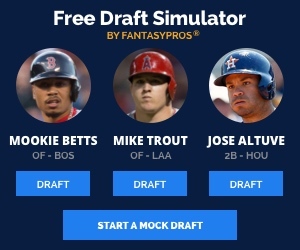 This is a terrific tool and combined with SoCalledFantasyExperts you’re on your way to dominating your league. John has been playing Fantasy Sports for roughly twenty years. He works in the Customer Experience profession by day and is a fan of all things Dynasty, Daily and PPR by night. He currently resides in Boston, MA.